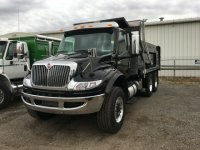 Maxim Truck & Trailer carries the complete line of new International trucks. With ten different models to choose from, there is almost no application that an International truck can’t help with. International trucks cover everything from highway hauling to plowing and emergency response. 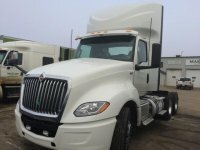 Day cab or sleeper cab, regional or cross country hauling, International has a truck to fit your needs! We carry over 300 in-stock units for you to choose from, and can factory order any specific model you require. 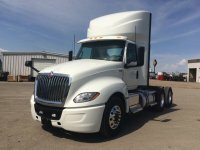 Browse our new International truck inventory online, or contact one of our Account Managers to learn more. 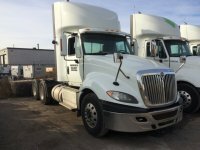 In addition to the International model lineup, we are also home to a large national inventory of quality used trucks that you can shop in person or online. 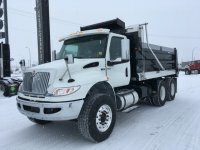 With day cab tractors, sleeper tractors, dry vans, reefer vans, grain and gravel trucks, and more, we are able to offer you an extensive selection of pre-owned trucks. With a team of finance professionals, Maxim is able to offer you finance, leasing, and rental options. Whether your need is temporary or more long-term, we can find the most cost-effective solution for you and your business. We will ensure you have the best protection for your new asset. 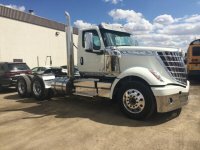 We are able to service a wide variety of heavy duty truck makes. This makes things simple for you, because you can use Maxim your one-stop source for all things truck. Make sure your trucks are always in top condition with preventative maintenance. 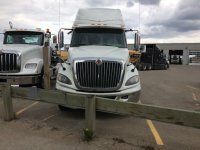 Due to the distribution of inventory across Canada, the truck you want might not be located at your nearest Maxim location. 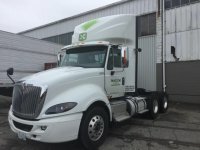 No matter where the truck you choose is physically located, we can make arrangements for delivery to the location of your choice.